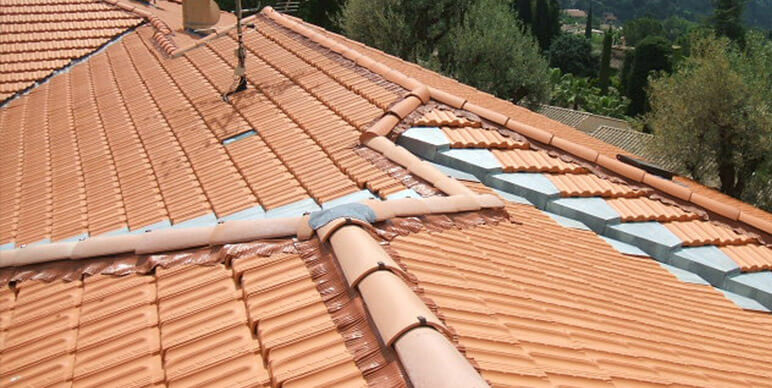 PAMTHER IS A ROOFING COMPANY SPECIALISED IN MAINTAINING AND REPAIRING ALL TYPES OF ROOFS. 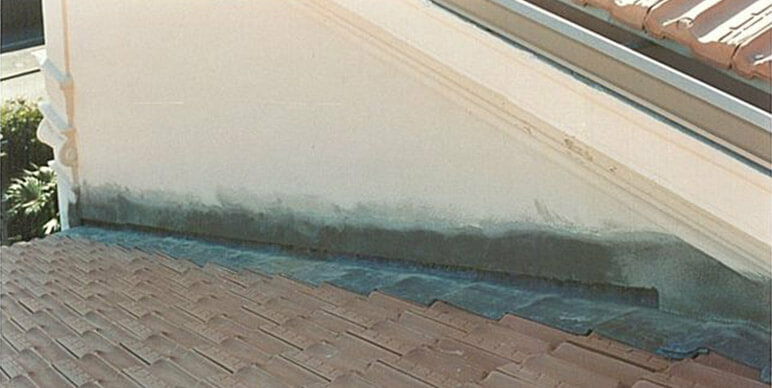 For your peace of mind and serenity, we provide high quality maintenance services for your roofs to ensure you are totally satisfied. 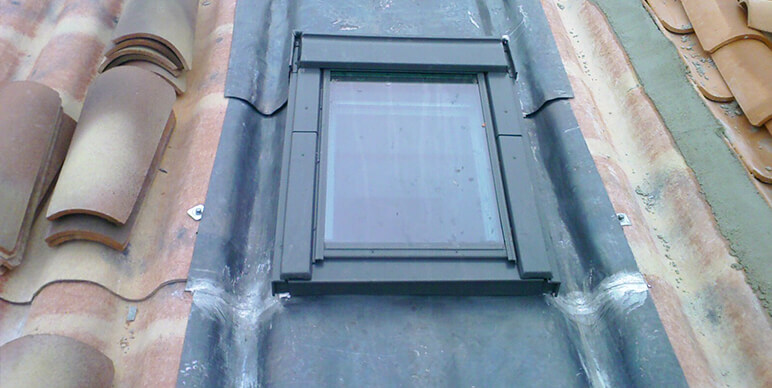 Our expert teams in this sector combine service excellence with rigour. 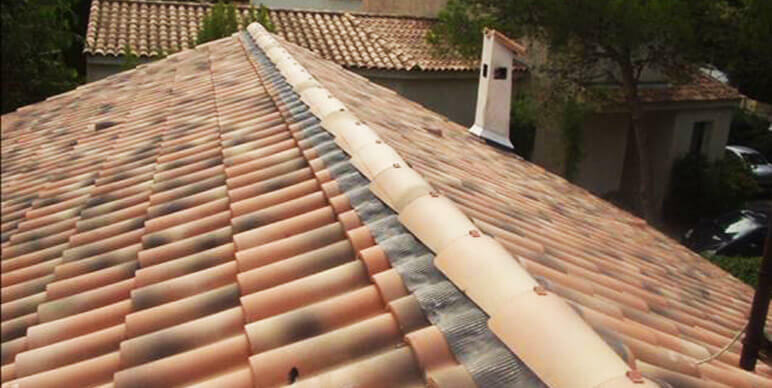 Located in the French departments of Alpes-Maritimes (06), Bouches du Rhones (13) and Var (83), our company comprises an engineering design office, and several teams of experienced roofers, under the responsibility of a works manager. 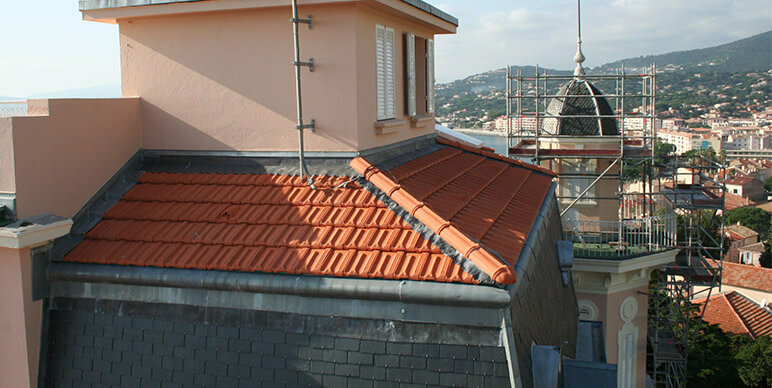 All our roofers and zinc workers are qualified and experienced. 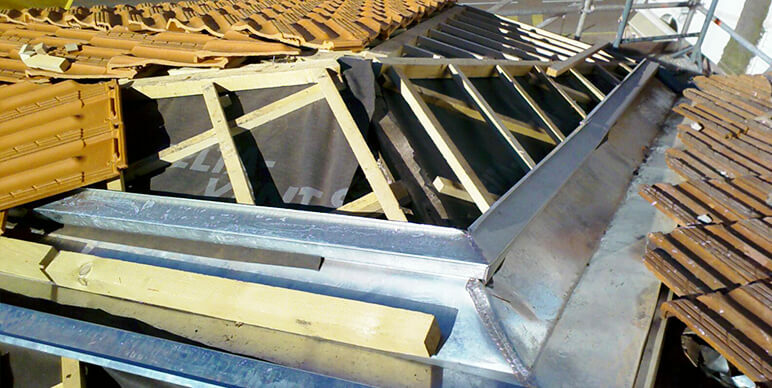 Pamther specialises in urgent repairs on all type of roofs. 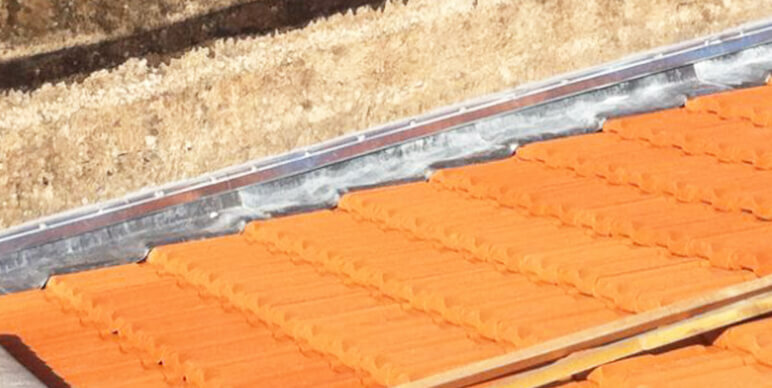 Equipped with cherry pickers, we can respond swiftly and in total safety. 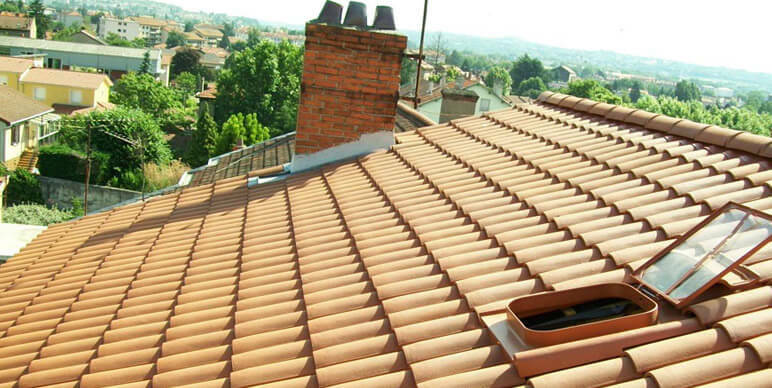 We can also maintain your roof on a regular basis in order to avoid nasty surprises and the high cost of repairs (SERENITY package) See the home page. 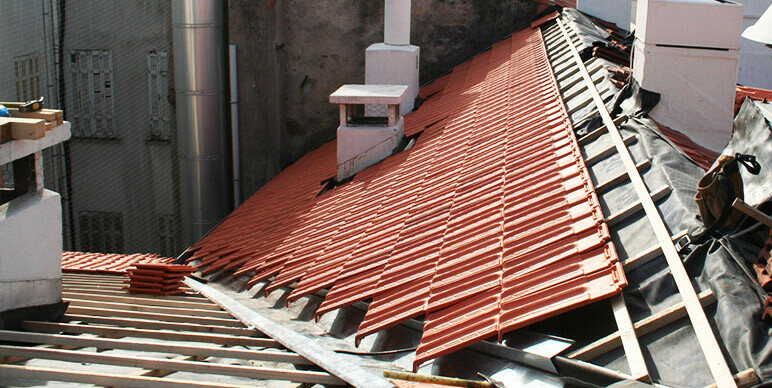 Many roof problems can be spotted early, before they get any worse. 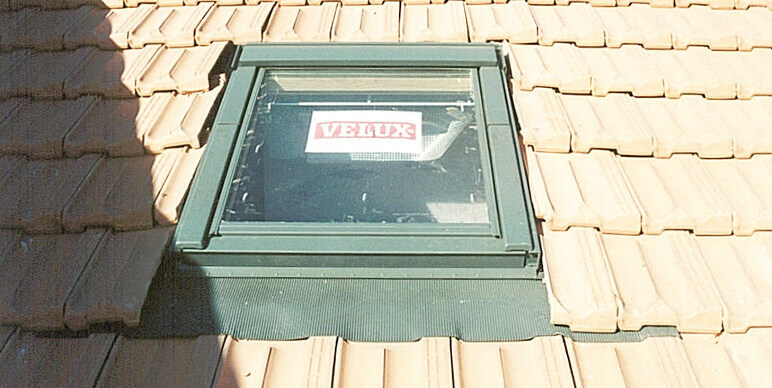 Repairs are then much simpler and less costly. 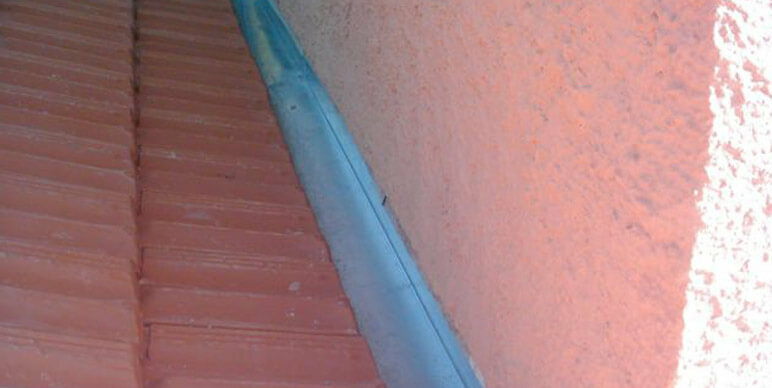 After assessment, we will recommend regular maintenance and will monitor your roof regularly. 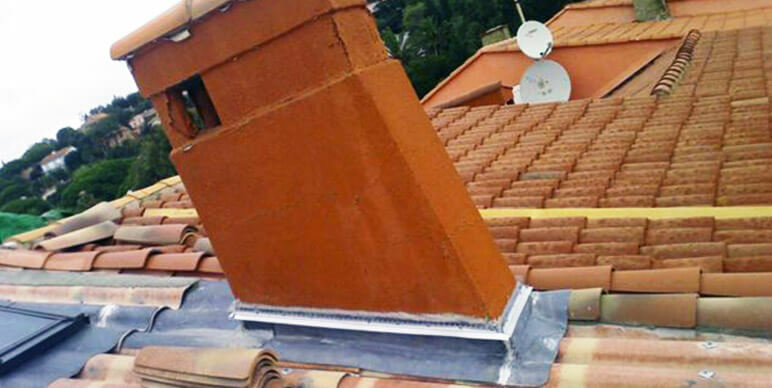 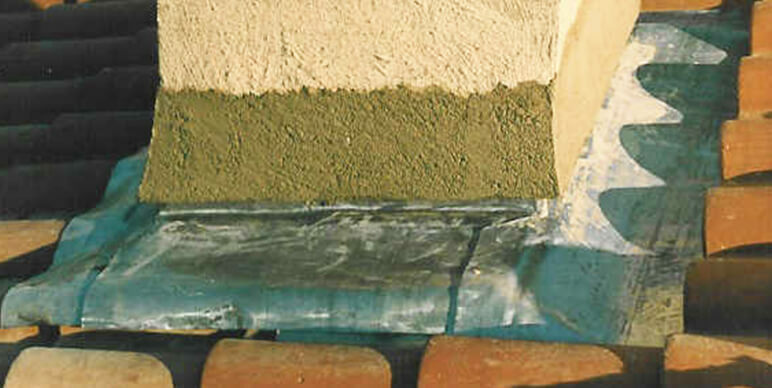 Changing all type of tiles, installation of zinc and lead flashing, repairing gutters, swales, chimney coatings, etc.